CoalMine – Coal mining wastes: assessment, monitoring and reclamation of environmental impacts through remote sensing and geostatistical analysis POCI-01-45-FEDER-030138 The self-burning of coal wastes piles resulted from coal mining activities represent a source of pollutants that are emitted, released or leached to the surrounding environment. During the combustion process, the emission of harmful gases and particulate matter into the atmosphere, the mobilization and leaching of hazardous elements may affect the atmosphere, soils, surface and groundwater, and consequently may cause environmental pollution and effects on biodiversity and human health. Considering the above and the fact that the impacts on surrounding environment and human health caused by self-burning coal waste piles in Douro Coalfield were never investigated, the main objective of this proposal is to identify and characterize the environmental impacts arising from the self-burning process in S. Pedro da Cova waste pile, which is under combustion process since 2005 until present days and is located near a population centre and social infrastructures. with Morocco and Western Sahara controlling 77% of the reserves. However, P-depletion is not the P-problem but the phosphorus market. During the high-volatility phosphate rock market prices , two major spikes occurred: in the mid 1970’s and in 2008, where the prices jumped at level 10 times higher before the jump, and came down again but the price’s after the 1975 and 2008 jump–slump held PR prices at a level 3–4 times higher than before the jump. FLaPsys – Fiber Laser Plasma spectroscopy system for real time element analysis POCI-01-0145-FEDER-031165 FlaPsys will develop an advanced spectroscopy system that will enable the real time identification and quantification of elements in minerals and other complex samples. The system will rely on Laser induced breakdown spectroscopy (LIBS), supported by a Fiber Laser with unique features, that will enable a more compact system with higher performance, suitable for operation underwater or on ground, and capable of very high spatial resolution. DSAIPA/DS/0090/2018 Crash accidents are one of the major problems in modern societies not only because of the high number of victims but also by the high costs associated. The World Health Organization predicts that, without sustained action, in 2030 road traffic crashes will became the seventh leading cause of death. Moreover, it estimates that in most countries road traffic crashes costs represents about 3% of their Gross Domestic Product. According to National Road Safety Authority , in Portugal the number of crashes with victims has been increasing since 2011.
increase of 13% relative to the same period in 2016). The district of Setúbal is one of the districts with the highest number of crash accidents. In that period there were 192 accidents (an increase of 35,2% over 2016) that resulted in 52 deaths (an increase of 57,6% with respect to 2016). There were only more accidents with deaths or serious injuries in the districts of Porto (198) and Lisbon (315). Between January 1 and April 15, 2018, there were 21 deaths in the district of Setúbal (4 more than in the same period of 2017), becoming the district with more deaths. correlations, and other information that can help organizations make more informed decisions. 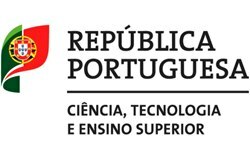 Based on the large amount of data available, the overall objective of this project is to identify factors that enhance the accidents in the district of Setúbal and to build predictive algorithms and models that can be used experimentally, in real time, by GNR of Setúbal, in order to take measures to reduce road accidents. the occurrence of accidents and their severity; iv) draw the profile of the individuals involved, comparing it by type (collision, trampling or scraping); v) construct predictive models for the number and severity of accidents, as well as for the most likely places for its the occurrence, and also to obtain a model that can predict an accident given a road segment and given a time period. Generalized Linear Mixed Models, Generalized Additive Mixed Models and Generalized Estimation Equations) and Artificial Intelligence and Data Science techniques, with particular emphasis on predictive analysis, pattern recognition (e.g., Support Vector Machine, Neural Networks and Random Forest) in order to consider different types of variables (spatial, temporal, environmental, vehicle related, driver, victims, road environment, among others). The GIS tools play a key role in the characterization of the accident location, in the identification of hotspots and in the ability to perform complex spatial analyzes through physical and interactive products that allow the visualization and analysis of the data collected and the models created. Therefore, it will be possible that each model work as a tool for assessing the impact of the implementation of specific safety measures, which will allow a qualitative very important increase. The final objective is to build a digital tool to support realtime decision making. Such a tool will be based on the models obtained and will have the ability to readjust its parameters and update the predictions whenever new data are obtained. The success of this project will certainly have a g reat social and economic impact, and the idea can be replicated to other districts. TRIAD HealTh RIsk and social vulnerability to Arboviral Diseases in mainland Portugal. DOPPLER 333197717 DevelOpment of PaloP knowLEdge in Radioastronomy”. Aga Khan Development Network (AKDN) – Portugal Collaborative Research Network in Portuguese speaking countries in Africa. CA16101 The main objective of this Action is to promote innovative, multi-informative, operationally deployable and commercially exploitable imaging solutions/technology to analyse forensic evidence. C4G-Colaboratório para as Geociências, Roteiro Nacional de Infraestruturas de Investigação de Interesse Estratégico POCI-01-0145-FEDER-022151 The Collaboratory for Geosciences is a distributed research infrastructure (RI) that promotes the networking of researchers and the sharing of equipment, data, collections and tools in Solid Earth Sciences (SES). ESMIMET – DESARROLLO DE CAPACIDADES INTERREGIONALES EN TORNO A LOS RECURSOS ESTRATÉGICOS EN MINERÍA METÁLICA The main objective of the project is to generate a network of scientific-technological and R&D knowledge about the development of metal mining capacities in the borders of the three participating regions (North, Central Portugal and Castilla y León). This will allow the development of regional and joint activities from projects and initiatives of high added value in different R&D subjects. Some of these activities will be exploration, exploitation and processing technologies, materials science, industrial and monitoring technologies and environmental and energy technologies. These activities will permit not only the generation of strategic projects but the training of scientific-technical professional profiles and the creation of high qualified employment in the participant regions. ACUGIS POCI-01-0247-FEDER-024364 Automatic Cartography Update for GIS. unburned semi-coked carbon (CHAR) produced by the coal power plants are landfilled or added to concrete with negative impacts, while CHAR could be used as a SUBSTITUTING MATERIAL of NATURAL GRAPHITE. Therefore, CHARPHITE project aims at: (i) concentrate and purify char from coal ash using classic separation methods and ultrasonication; (ii) producing composite metallic oxides with CHAR, and carry a comprehensive electrochemical characterization of the novel carbon materials to be tested as electrode materials (electrocatalysts) for relevant energy-related reactions; (iii) performing industrial research to use these carbon materials as an additional supply source for the production of graphite electrodes and rods. RAREASH – ASSESSMENT OF POSSIBLE RECYCLING DIRECTIONS OF HEAVY & RARE METALS RECOVERED FROM COMBUSTION WASTE PRODUCTS ERA-MIN/0006/2014 RareAsh project aims to promote Heavy & Rara Metals (HRM) recovery methods that can contribute significantly to the advancement of knowledge, beyond the current state of knowledge, by: (i) using fresh or reusing landfilled coal ashes; (ii) optimizing recovery methods and technologies for a higher added value of HRM; (iii) elaborating of new technologies for separation and recovery of the mixture components (flotation, hidrometallurgy, precipitation, ion exchange, microemulsion); (iv) creating of the HRM concentrates, high purity reactives and pure metals, catalysts and adsorbents for depollution purposes, preparation of metal and oxide nanoparticles for utilization in possible high-tech directions; (v) assessment of technical-economic feasibility in networking countries on the effectiveness of recover HRM by recycling of ash from coal combustion and municipal solid waste incineration. LINES LIFE14 NAT/PT/001081 Nature and Biodiversity Program- Linear Infrastructure Networks with Ecological Solutions. EPOS Thematic Core Services- MULTI-SCALE LABORATORIES EPOS IP – INFRADEV – 2014 – 2015/H2020 – INFRADEV-1-2015-1 TCS Multi-scale laboratories major target is to create a coherent and collaborative network of European solid Earth science laboratories. NewOreS – Development of New models for the genesis of Rare Metal (W, Nb, Ta, Li) Ore deposits from the European Variscan Belt and valorization of low grade and fine grained ore and mine tailings ERA-MIN/0002/2014 NewOreS is a project devoted to the: i) development of new models of ore deposition relevant for the W-Sn (Nb-Ta-Li) mineralisations, and intend to propose of new exploration guides for this type of mineralization, by building a fully comprehensive model for the behaviour of metals during crustal magmatic events, and ii) by understanding the behaviour of these metals at the hydrothermal stage, thanks in particular to by refinement of the in-situ analysis of trace elements especially Nb and Ta in oxides (SnO2, FeWO4) and in fluid trapped as fluid inclusions, and by building a new thermodynamic database for Nb and Ta species. iii) Finally, a major goal is the development of new flow sheets for the processing of low grade and fine-grained ores and tailings, in particular from a major W mine (Panasqueira) from already mined deposits thanks to new intensive flotation devices, the combination with centrifugal gravity separation, and search to develop a new energy saving mineral processing. Physical-chemical characterization of atmospheric particulate matter sorbed to allergenic airborne pollen PTDC/ATPEAM/0817/2014 The project aims to develop a ground-breaking work that would perform, for the first time, a long-term complete monitoring and description of particulate matter (physical properties, chemical composition, amount and source apportionment) of inhalable PM sorbed to airborne pollen grains; the driven conditions that influence the sorbing pattern; and the association between peak airborne pollen levels, sorbed PM characteristics and the number of daily emergency room hospital admissions. The study is conducted in 3 cities with different geographical position, meteorological influence and urbanization level corresponding to worldwide type of urbanized environments: Porto (Atlantic coastal city), Guarda (high altitude city), and Évora (influenced by North African deserts). FAME -Flexible and Mobile Economic Processing Technologies 641650 FAME aims to increase the competiveness of the mining of European mineral resources and to stimulate more private engagement and investment and thus business development with the potentials to maintain and create high quality jobs within EU28. The focus and a principal aim is to enhance mineral processing and mining skills within Europe. A medium to long term aim is to reduce the reliance of European Industry and consumers on raw materials that currently have to be imported from outside EU28. FAME will contribute to the more efficient exploitation European domestic mineral resources including previous undeveloped resources that have the potential to contribute to the securing of raw material supply by optimising the extraction and processing of ores that include raw materials critical to the EU. 3971/2012 The project intends to assess the relationship between the distribution of dolmens in Central-South Portugal, their source materials, and the geological landscape. GIS will map the information gathered and will be used to analyze these relationships. Three regional case-studies will be analyzed. These cases are from diverse geological backgrounds, and include: 1) Monforte and 2) Redondo, both in Alto Alentejo (Hercynian Massif), and 3) the Lower Estremadura – region of Lisbon (Meso-Cenozoic basin. Thus, besides macroscopic description of the megaliths at the tombs, petrography will be conducted by conventional polarized microscopy (transmitted and reflected light) but also recurring to SEM-EDS and RAMAN for semi-quantitate analysis of mineral phases. Elemental whole rock geochemical (IC P-MS) and isotope (TIMS) compositions from megaliths and outcrops are invaluable and supplemental data to guarantee the accuracy of rock differentiation and classification. ZOM3D – 3D Metalogenic Models of Ossa Morena Zone: Evaluation of mineral resources in Alentejo. ALT20-03-0145-FEDER-000028 The project intents to create a metalogenic model for the mineral deposits of the Ossa Morena Zone, that to function as a database for researching and mineral exploring companies in Alentejo region and allows to rationalize costs and means in geological prospecting operations. The model is based on a set of classic geological maps and in the form of 3D digital cartography and should include lithostratigraphic, mineralogical, geochemical, geophysical and structural information that will allows to the identification of the most favourable target resources and their locations. InCarbon- In situ carbonation for reduction of CO2 emissions from Power and industrial sources in Alentejo 31853 02/SAICT/2017 The aim of INCARBON is to assess the potential of using mafic and ultramafic rocks in Alentejo for storage of CO2 captured in large industrial and power sources, such as those at the Sines industrial cluster. Mafic and ultramafic rocks are enriched in Ca2+, Mg2+ and Fe2+ cations, the reaction of which with CO2 precipitates carbonate minerals, permanently fixing CO2 in mineral form, in a process designated as Mineral Carbonation. InCarbon focus on in situ mineral carbonation where CO2 is injected underground, at hundreds to thousands metres depth, mafic rock types that occur in Alentejo, namely gabbros, peridotites, pyroxenites, and others. The research strategy relies on three pillars: i) geologic and geophysical field work; ii) laboratory experiments and iii) numerical modeling. The Inovstone 4.0 project aims the development of techniques and technologies to reorient the operations model in the Sector of Ornamental Stones (RO) for Industry 4.0. This is the answer to the new procurement digital model (IFC objects libraries) in the context of BIM (Building Information Model) to the AEC (Arquitecture, Engineering and Construction) sector. The project is based on the dynamic capability of the Industry has already shown and it needs to strength to be competitive in a new context of Industry 4.0, BIM and lean practices (leanstone). The four main principles in this project are: (1) convergence with global enforcement objectives of BIM in the AEC. (2) Stone valorization in the context of BIM digital procurement (turning stone in smart product); (3) convergence of the production operation for Industry and finally 4.0; (4) convergence with the global initiative “green building”. The strategy is to respond to these challenges by the development of a Cyber Physical System (Cockpit Stone BIM 4.0) to network the production systems (interconnect the production of offline and online application technologies, samples and laboratory of Stone). The procurement model of building materials was changed to BIM context and all information must be networked to ensure the planning (ERP) required to the needs of consumers. After application, there are variations in shades of blue, creating patterns quite unaesthetic and forcing the company to replace several stone pieces. These aspects have created difficulties to SOLANCIS; in the highly competitive context of supply of these products. create predictability of changes after implementation of blue Extremadura and discover mitigating measures of these phenomena. 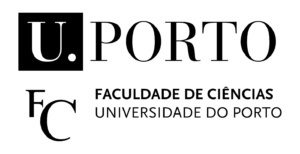 For the execution of the project the team is led by SOLANCIS, includes the Portuguese Technological Centre exclusively dedicated to the research and support of the natural stone industry (CEVALOR) and two centers classified by FCT with excellent (Hercules Lab, University of Évora and ICT – Earth Sciences Institute, Universities of Évora, Porto and Minho). The multidisciplinary of the team and the different views ensure that objectives will be met. ColourStone – Cor de mármores e calcários comerciais: causas e alterações é um projeto criado e desenvolvido no âmbito da Rede Regional de Ciência e Tecnologia do Alentejo (RRCTA). O projeto “ ColourStone – Cor de mármores e calcários comerciais: causas e alterações” pretende explicar, através de métodos geoquímicos, mineralógicos e bioquímicos, a cor e a descoloração das principais rochas carbonatadas comercialmente importantes em Portugal. Os processos cromáticos em calcários e mármores deverá ser totalmente compreendido. É expectável que os resultados do projeto influenciem futuras aplicações tecnológicas tornando possível a certificação e garantia da cor das pedras comercializadas. 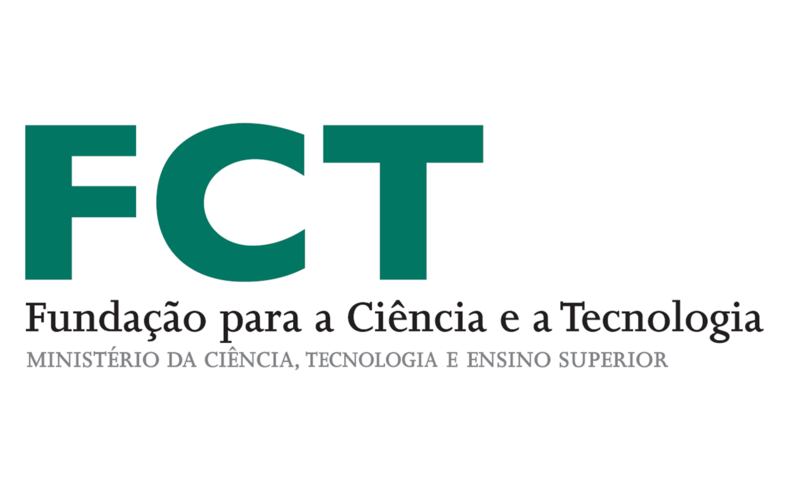 Este projeto permitirá criar conhecimento científico essencial no apoio a novos projetos industriais e tecnológicas (i.e. Portugal2020 e Alentejo2020). Estes irão contribuir para aumentar a competitividade do setor de rochas ornamentais e criação de ferramentas de certificação que, deste modo, irão gerar um valor acrescentado para a Pedra Natural Portuguesa e Europeia, nos mercados internacionais. BRO-CQ – Controlo de Qualidade de blocos em Rochas Ornamentais IDT-COP – 17659 – 33/SI/2015, Portugal 2020/FEDER The objective of the project “BRO-CQ – Controlo de Qualidade de Blocos em Rochas Ornamentais” is the development of a disruptive device to identify the discontinuities and heterogeneity within marble, granite and limestone blocks, as well as their texture and microscopic analysis, without the need to open or destroy them. By bonding some of the most advanced technologies (ultrasounds, electrical conductivity and image analysis) in a way that hasn’t been attempted before, this project will solve one of the oldest and concerning issues of the ornamental rock industry: the inability to evaluate the rocks’ composition prior to its destruction or cutting procedures, to evaluate the monetary value of the rock and/or to analyse its constitution. The process of overlapping those three technologies will allow the development of a probabilistic model (Decision Support System) which, in parallel with a computational simulation module, will allow to demonstrate, using a three dimensional plant, the acquired knowledge. In order to maximize this, the project will involve the development of complex algorithms which will allow calculating the exact position of the blades and the resulting cuts, with respect to the users’ requirements, therefore maximizing the usage of raw material. The project BRO-CQ was born as a result of the promoter’s requirements and their clients’ requirements, and, by using their conjoined experience, know-how, and interest in RTD activities, will result in a distinctive product, able to solve one of the main problems of this industry, and will present itself as a major advance in comparison to the state of the art. E-TECHSTONE 4.0 – Development of technological solutions for the evolution of the extraction of Natural Stone for the Industry 4.0. 17882 –33/SI/2015 The E-techstone 4.0 project aims to develop technological solutions for extraction in the natural stone sector. Namely, developing 5 new technologies for the quarries in the drilling, cutting, squaring and finishing stages. The innovation introduced will be both incremental and radical. The introduction of technical progress will be through increased productivity, precision, energy efficiency and implementation in the developed solutions of the Industry 4.0 concept. Studies will be developed on advanced technologies such as laser, 3D reading, remote technology and technologies associated with big data.